Hagfish also known as Hyperotreti is a marine fish. They are the only known living animals that have a skull but no vertebral column. 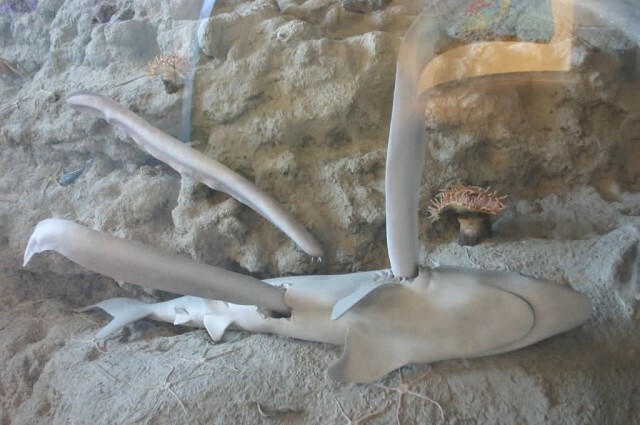 Hagfish are jawless and are living fossils. The only known fossil hagfish from 300 million years ago, looks very much like a modern hagfish. Hagfish about 0.5 m in length. 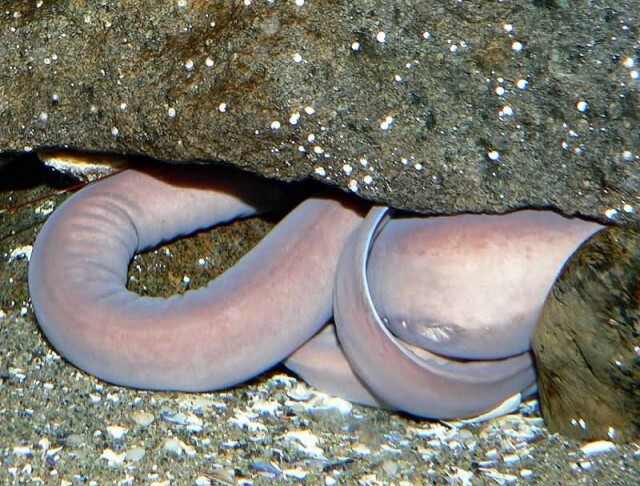 Hagfish have elongated, eel-like bodies and paddle-like tails. The skin is naked and covers the body like a loosely fitting sock. Colors depend on the species, ranging from pink to blue-grey. 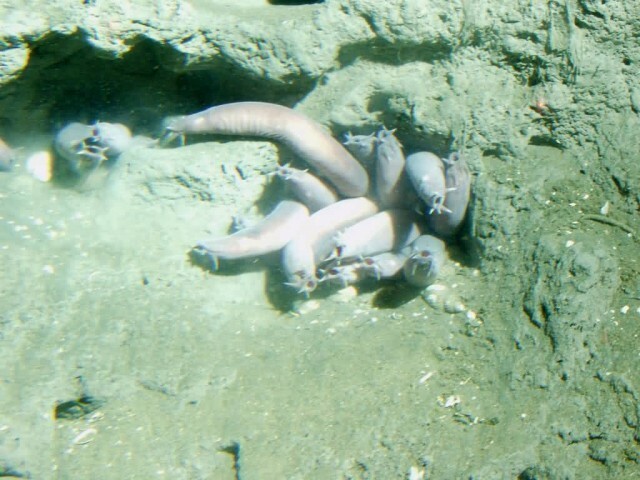 Hagfish mostly feed on dead and dying creatures on the sea floor. 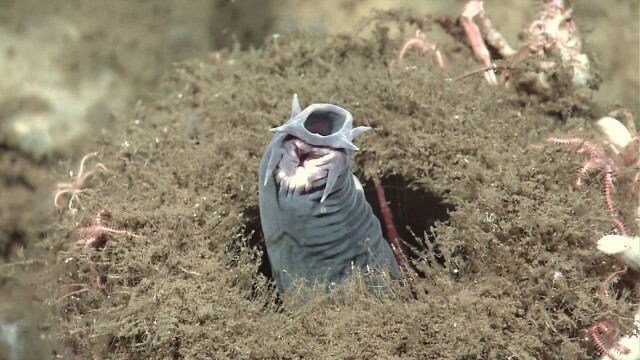 Hagfish can go months without eating. Hagfish have the ability to absorb dissolved organic matter across the skin and gill. Hagfish skin used in a variety of clothing accessories, is usually referred to as eel skin. It produces a particularly durable leather, especially suitable for wallets and belts.